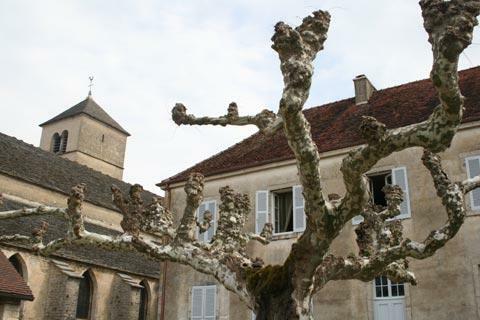 Chateau-Chalon is a village to the north of Lons-le-Saunier in the Jura department of Franche-Comte. 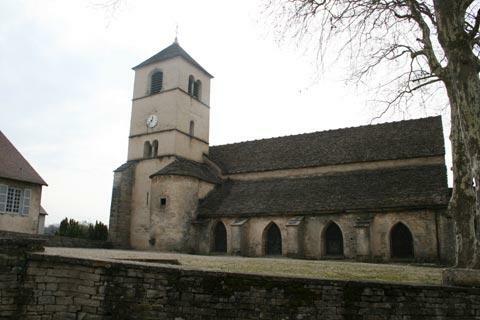 It is classified as one of the 'most beautiful villages of France' and is in a very picturesque location at the heart of the Jura wine-growing region. The Chateau-Chalon vineyards date back to their introduction by the Romans, and the local, golden-yellow wine is held in very high regard. You will have plenty of opportunities to sample and buy the local product in and around the village. 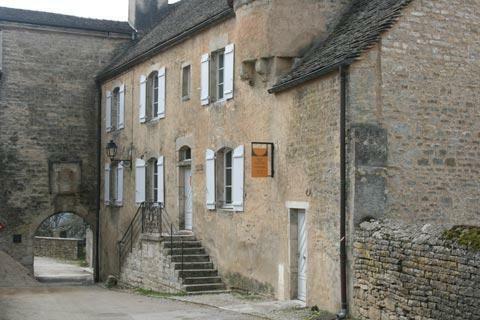 France This Way comment: Chateau-Chalon is quite a small village but the charming unspoiled streets, the castle and the lovely views ensure it is an unmissable destination when you explore the Jura. 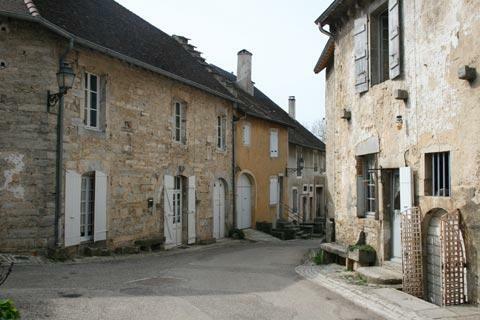 The village, like many in wine-growing regions, has several large houses built on the income from the wine trade and still belonging to the wine producers of the region, as well as a small village centre with traditional stone cottages. The remnants of a 13th century castle in the form of a donjon and the ancient fortified gateway in to the town are the two main 'sights' in the village, and there is an interesting romanesque church in Chateau-Chalon dating back to the 11th century, with a statue of Christ carved in oak, stained glass windows and still preserving its ancient roof tiles in stone. Take a look at the house opposite the church, an interesting example of the local architectural style and a classified Historic Monument. 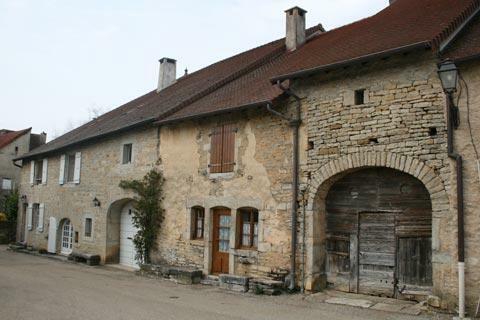 In a small museum in the Maison de la Haute Seille you can learn all about the history of the region, especially the production of wine here, and there is also a small cafe and exceptional views across the valley below the village. There is also a small museum called the Ecole d'Autrefois which is a recreation of a school in the 1920s: fascinating for those who remember what schools used to be like and also as a way of explaining to the young what school used to be like before technology arrived! 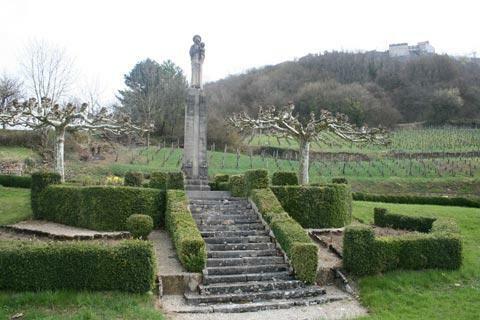 Being in a raised position, Chateau-Chalon has lovely views looking down across the surrounding vineyards. There are several viewpoints and the best is just beyond the church, with far-reaching views in both directions. 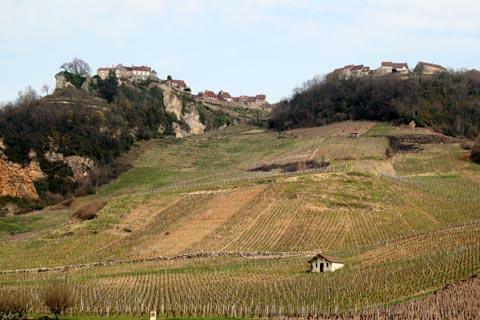 The rolling hills of the Jura, with vineyards covering the lower parts and forests on the higher areas, provide endless opportunities to appreciate the scenery around Chateau-Chalon. 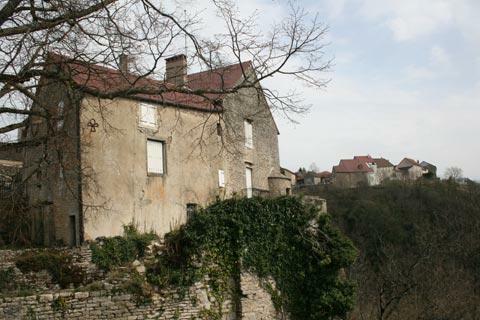 Just to the east of Chateau-Chalon we particularly recommend that you visit the village of Baume-les-Messieurs, another pretty village in a scenic setting at the end of a large gorge.